Gates estates are pleased to offer this well presented two bedroom ground floor flat located in Higham. Accommodation comprises; Open plan Kitchen dining and living room, 1 double bedroom and 1 single bedroom with bathroom. 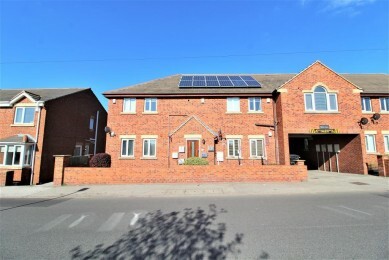 The property benefits from gas central heating, double glazing and allocated parking space. A tastefully appointed and neutrally decorated, front facing area with two large double glazed windows, radiator and extractor to the kitchen area. The dining area is between the kitchen and living area. The kitchen area has a good range of modern wall and base units with roll-edge work surfaces which incorporates a stainless steel sink and drainer. Integrated appliances include electric oven and gas hob. The flooring is wood effect vinyl and provides access to the hallway and out to the entrance hallway of the building. A spacious rear facing bedroom which is neutrally appointed with double glazed window, radiator and carpeted flooring. There are also large integrated wardrobes. Spacious bathroom with large bath with shower over, low flush WC and sink. It has a double glazed, obscured glass window and tiled flooring. The walls are also tiled. A single rear facing bedroom which is neutrally appointed with double glazed window, radiator and carpeted flooring.